While America’s surveillance infrastructure turns inwards to identify domestic terror threats to the homeland such as those people who have guns, ammunition, food reserves or pay cash for their purchases, a shocking new report from Congress suggests that legitimate national security threats from foreign governments have been all but ignored by those agencies tasked with providing for the defense of the American people. The year long investigation by the U.S. Senate Committee on Armed Services found that counterfeit parts from our nation’s largest financial benefactor are flooding into critical military defense systems that include everything from special operations helicopters and surveillance planes, to missile guidance and global positioning systems. [The report] found a total number of suspect counterfeit parts involved in those 1,800 cases exceeding 1 million. The investigation’s findings point to China as the dominant source of counterfeit electronic parts and the Committee concluded that the Chinese government has failed to take steps to stop counterfeiting operations that are carried out openly in that country. The Chinese government denied visas to Committee staff to travel to mainland China as part of the Committee’s investigation. The Committee’s report includes detailed descriptions of how counterfeits are flooding the supply chain, risking the performance and reliability of critical defense systems. In just one example described in the report, the U.S. Air Force says that a single electronic parts supplier, Hong Dark Electronic Trade of Shenzhen, China, supplied approximately 84,000 suspect counterfeit electronic parts into the DOD supply chain. Parts from Hong Dark made it into Traffic Alert and Collision Avoidance Systems (TCAS) intended for the C-5AMP, C-12, and the Global Hawk. In addition, parts from Hong Dark made it into assemblies intended for the P-3, the Special Operations Force A/MH-6M, and other military equipment, like the Excalibur (an extended range artillery projectile), the Navy Integrated Submarine Imaging System, and the Army Stryker Mobile Gun. China is the dominant source country for counterfeit electronic parts that are infiltrating the defense supply chain. The Chinese government has failed to take steps to stop counterfeiting operations that are carried out openly in that country. The Department of Defense lacks knowledge of the scope and impact of counterfeit parts on critical defense systems. The use of counterfeit electronic parts in defense systems can compromise performance and reliability, risk national security, and endanger the safety of military personnel. Permitting contractors to recover costs incurred as a result of their own failure to detect counterfeit electronic parts does not encourage the adoption of aggressive counterfeit avoidance and detection programs. The defense industry’s reliance on unvetted independent distributors to supply electronic parts for critical military applications results in unacceptable risks to national security and the safety of U.S. military personnel. The defense industry routinely failed to report cases of suspect counterfeit parts, putting the integrity of the defense supply chain at risk. Do you think Chinese military supply chains have been flooded with counterfeit parts from their suppliers? This is, by all accounts, a coordinated attack on our national defense infrastructure, and we can say with near certainty that this is part of a complete strategy designed to weaken the United States. The Chinese government knows very well what’s happening. The fact of the matter is that China is a Communist country, and thus, all Chinese firms operate at the behest of the government, despite what we’re told about their shift towards capitalism. As we’ve noted before, the Chinese government is and has always been at war with the United States of America. They have infiltrated our internet, gained access to our power and utility infrastructure, and mapped vulnerabilities across the entire country. They are openly stealing our intellectual property – both from the private sector, as well as purportedly secure government systems. Their position as our leading creditor has given them the ability to pull the plug on our currency, as well as our economy, at anytime they so choose. They have flooded our military defense systems with faulty hardware and back-doors that, when activated, may take down essential national security nodes like early warning systems. 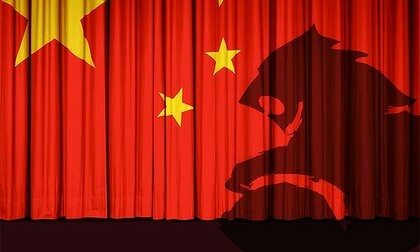 The Chinese are master strategists when it comes to war, and for two decades they have been positioning their pieces on the grand chessboard. This latest Congressional report shows just how well they’ve played the game. Our entire country has been left vulnerable because of backroom deals with defense contractors, a Congressional membership more concerned with re-election than upholding their Constitutional duty, and Executives who have been complicit in the sharing of key technological advancements with a country who is deadset on becoming the world’s next superpower. We’ve been sold down the river folks and our nation has been left exposed to sworn enemies of liberty.